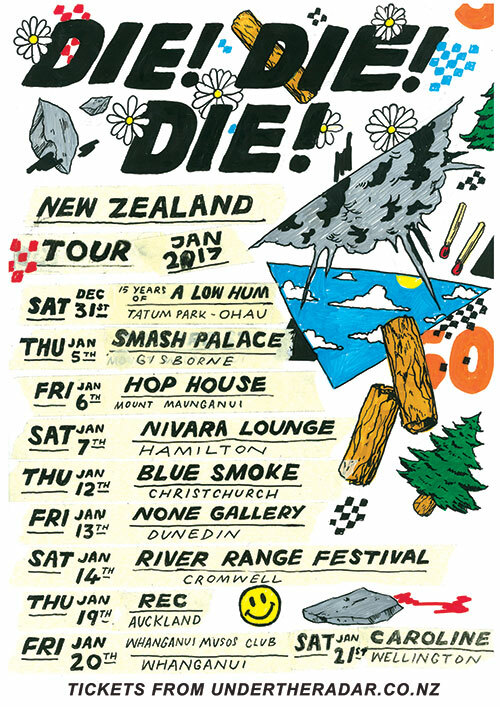 Never far from the perils of the road, NZ's beloved noise punk three-piece Die! Die! Die! are out to get you again. Built around performances at A Low Hum's 15 year celebration and headlining Cromwell's River Range Festival, Die! Die! Die! roam the country from North to South playing 10 shows at old favourite venues and brand spanking new ones. 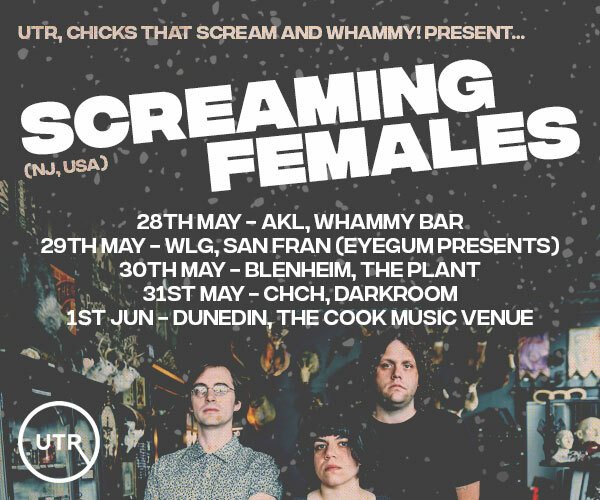 Including all ages shows for Hamilton and Whanganui. The band recently returned from a successful tour to China, UK and Europe to tour, stopping for a respite in London where they recorded long awaited sixth full-length album due for release in May 2017. Reminiscent of the spirit and sounds of Black Flag, Pixies, the Wipers, Wire, and Bailterspace, Die! Die Die!’s unfiltered and powerful stage show has earned them a reputation as one of the most energetic and commanding bands around. Cathartic, direct, indispensable… You will know them as DIE! DIE! DIE! 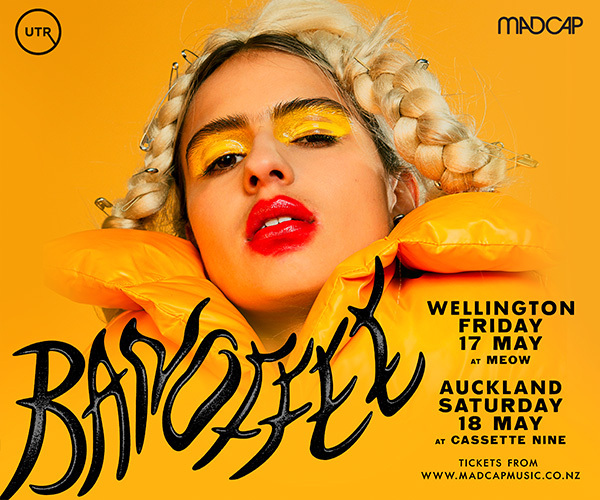 Limited presale tickets from Under The Radar.